Blog / What are the qualities of a good real estate agent? If life’s a stage then a home is its one of the vital props. And to find a home that suits your preferences, you need to choose an agent that possesses qualities like honesty and problem-solving mindset. Let’s see what key traits you must analyze before choosing a real estate agent. It is inevitable for an agent to have a comprehensive knowledge of the local region. A newbie in terms of the local area will not be able to help you find the desirable property. On the other hand, the local agent may also help locate open house events in the region. An agent who prefers working with attention to detail is the one who will completely understand even your smallest requirement. Real estate work and networking go hand in hand. A trusted agent is not only associated with other agents but also sellers, buyers, and local authorities. An individual, who is passionate about architecture and houses, will be able to explain the features of the house effectively. S/he will also be able to examine the issues present in a property. Superior negotiation skills lie at the heart of a good deal. Your real estate agent must be capable enough of dealing with the other party in terms of the value of the home or repairs needed. This is considered an innate trait of a real estate agent. Communication skills are not just limited to understanding the needs of the client but also include answering all the doubts and queries of the clients with patience. Conclusion: A real estate with all these traits will help you get rid of hassles associated with finding an ideal house. 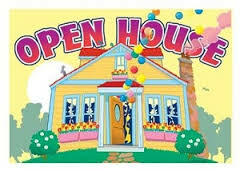 You can also ease up your life by going through the options of open houses present on our website.